Our 60-page wagering guide (sample) is the best way to understand our handicapping method with visual examples and scenarios that cover our picks, BEST BETS and more. Each month we also feature race day guides covering everything from the Kentucky Derby to the Breeders’ Cup. Austin Elsey June 13, 2016. Excellent job on you Belmont guide for wager strategies. 67% return on the total bet. Always appreciate the edge you guys provide! Ryan Patty August 6, 2017. BEST WAY TO PLAY OUR PICKS? 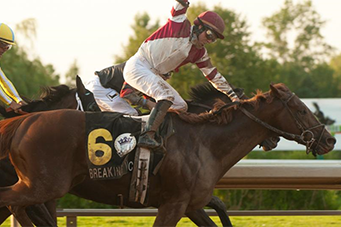 GET OUR 60-PAGE WAGERING GUIDE FREE WITH ANY PRO BULK PURCHASE. "Your betting guide is one of the best I have ever read. I have read all or parts of about 20 books on horse race betting and yours is one of the best common sense and simplest to understand. You should print it as a book and sell it on Amazon!" Shows the positives and negatives, analysis and notes with the top horses in each race along with the morning line odds. The level of improvement shown by this horse has been nothing short of spectacular. In February, he made his 4-year-old debut at Oaklawn Park and completely dominated his foes in the Razorback Handicap. 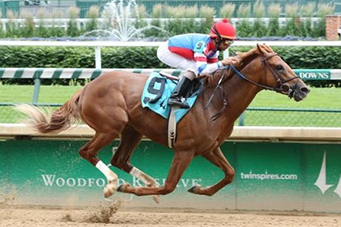 After that, he went to Dubai and ran a “too good to lose” second before coming back to once again dominate in the Grade 1 Stephen Foster Handicap at Churchill Downs. In all of his races this year, he’s basically been in a race of his own out front. He gets to the lead and never looks back. He won the Suburban Handicap last time out at Belmont Park, but that was his first win since the 2015 Travers Stakes. You know you can count on him to come with a big run at the end like he normally does. However, he needs a mile and a quarter to run his best race. Both of his big wins (the Travers and the Suburban) came going that distance. These inlcude horses at the mid-range to long shot prices. His best career race came at Saratoga when he nearly won the Woodward Stakes last year. He will need to get back to that kind of effort to compete in this one. He has very poor history in stakes races. His biggest win came in an allowance victory at Parx. He looks to be overmatched in this spot. He's entered in this race as a rabbit for his stablemate, War Story. This tactic worked well last time out, but it will be tougher here against a horse like Gun Runner. This is vital to determining how the race is going to unfold and what horses have the pace. With the entry of the rabbit Cautious Giant, the race should set up for closers. Tu Brutus is also a fast horse out of the gate, and of course, Gun Runner is pure speed. Several will try to beat Gun Runner because of this projected fast pace, but it's important to note that a similar scenario on paper set up in the same manner last time out in the Grade 1 Stephen Foster for Gun Runner. In that race, he still took the field wire to wire because he was simply the class of the race. If the speed is cheap, he has the ability to toss them aside and run a race all on his own. Expect that to happen again, but if it doesn’t, then Keen Ice and War Story will benefit. Shows you exactly how to approach and wager on the race. He may be the chalky choice here, but there isn’t much evidence that suggests Gun Runner can be beaten against this field of only six other rivals. Tu Brutus is the only horse that might have a shot, but he will have to bounce back in a big way to compete here. Much like last year with Frosted in this race, the key will be to play the heavy favorite on top and try to get prices underneath to round out exactas and trifectas. Gun Runner over Tu Brutus, War Story, and Keen Ice make sense here. If the price is somehow 3/5 or higher on Gun Runner, then a win bet would be a sufficient play. We provide you with our top four selections along with two alternates in the event of scratches. We also provide suggested wagers. GET ALL WAGERING GUIDES WITH ANY PRO BULK PURCHASE. All of our wagering guides are available for download on our TIP SHEETS page for those with a PRO bulk subscription. ©2009-2017 Kennaco Assets, LLC. All rights reserved.